I am planning an Italian themed luncheon and part of my antipasto platter I intend to include "fritelli di cavolfiore" or cauliflower fritters. So I gave these a trial run the other weekend. They are very simple, but simply morish. 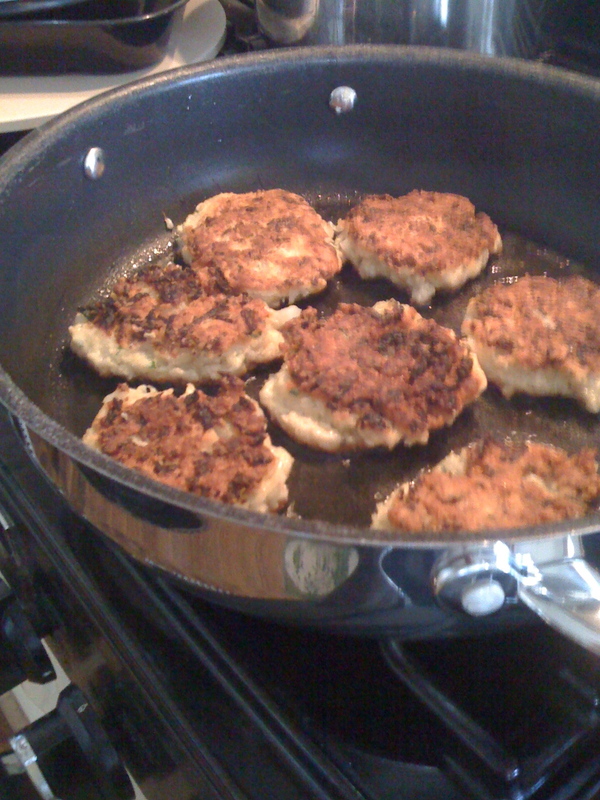 They can be made with most left over vegetables but I stuck to cauli and followed the recipe from "My Cousin Rosa's" book by Rosa Mitchell. The recipe makes 20 and are cooked in no time. Break up the cauliflower into small pieces. Add to a pot of boiling salted water until soft. Drain and cool in a bowl. 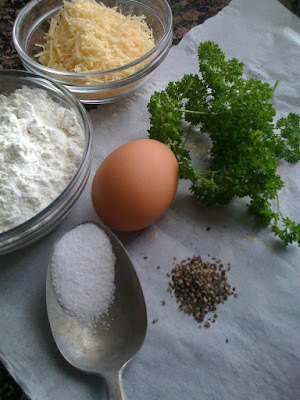 Mix together flour, cheese, garlic, parsley and salt and pepper. Add lightly beaten eggs and mix. If this looks/feels too dry add a little water to bring it together. Mine was just right. 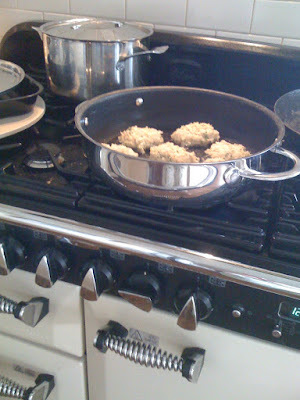 Heat enough oil to cover the bottom of a pan over a medium heat. when hot add tablespoons of mixture. Take care not to overcrowd. 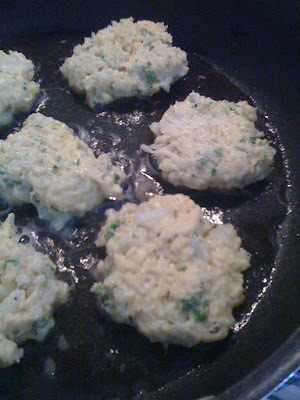 Cook until golden, turn over and flatten with a fork, turn and cook the other side until cooked through to the centre. They were a hit with the neighbours next door (my daughter is a vegetarian). I had a couple cold the next day but I have to say they are best eaten at least warm - which means I can prepare beforehand but will have to be cooked and served straight away. Anyone wanting to hide vegetables in food for children these could be a good foil. These look so good and I can't wait to try them. I need to see about growing cauliflower as that is something we haven't tried. 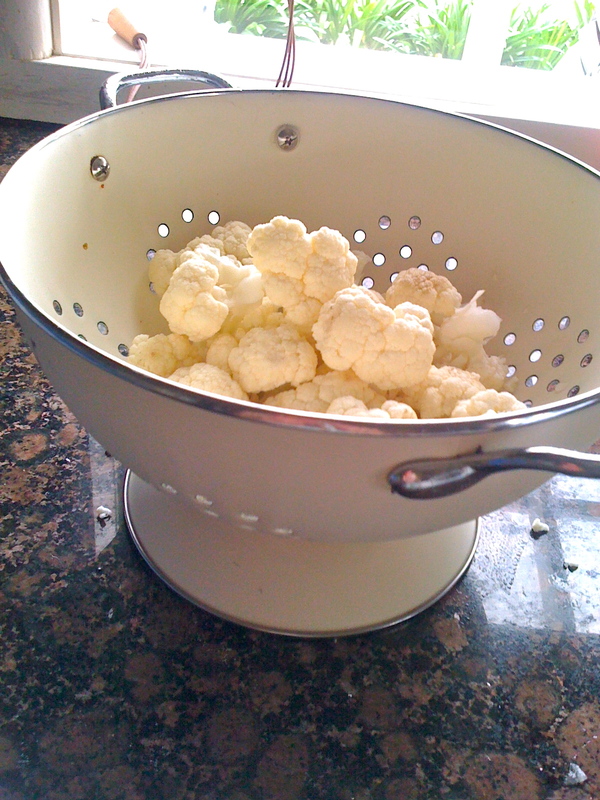 MMm Thsi is one of my favourite ways to eat cauliflower. these look delicious! love the idea. 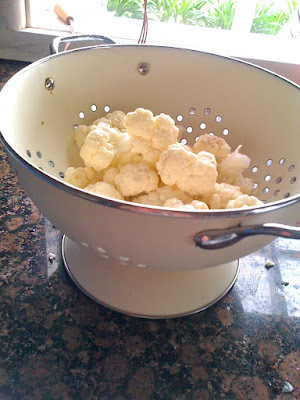 I really like the sound of these - perhaps a certain someone will actually eat cauliflower then! I've tagged you for the Food Bloggers Unplugged started by Susan from A Little Bit of Heaven on a Plate - hope you can pass it on! Id love to try this...fritters of any kind have my name all over them!